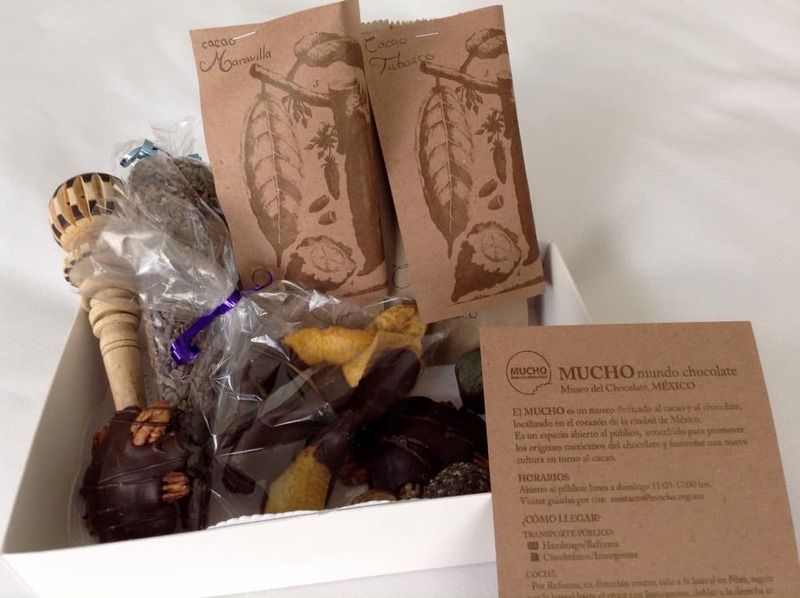 Thanks to a tip from a wonderful server at Las Alcobas boutique hotel in Mexico City, I was able to discover the MUCHO Museo del Chocolate which is a fabulous chocolate museum, cafe, and artisan chocolate maker all at one intriguing location in the Roma District of Mexico City. And yes, there is a Que Bo! chocolateria in the Mercado Roma neighbourhood of this massive city. 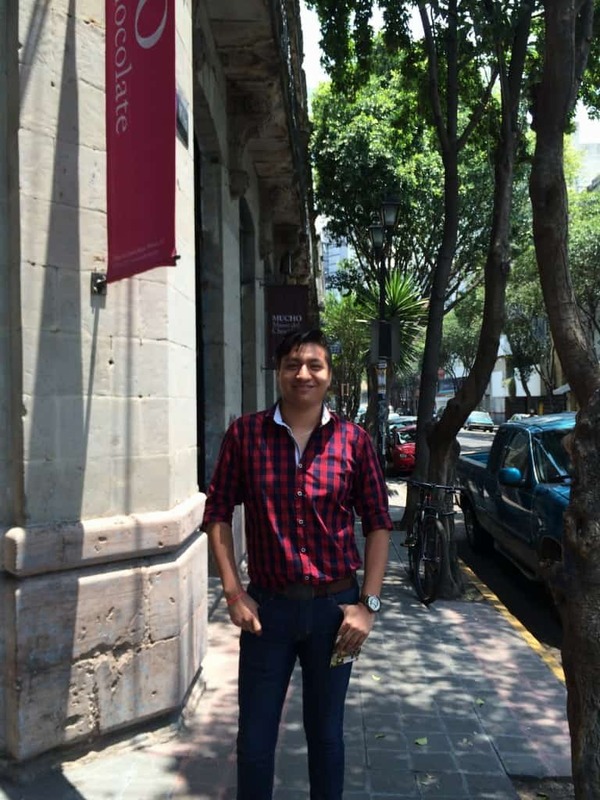 Markos Ayala is the chocolatier at MUCHO Chocolate in the Museo del Chocolate in Mexico City. I was privileged to have a private tour of the chocolate museum with resident chocolate maker, Markos Ayala, trained in the art of chocolate making by Chef José Ramón Castillo, profiled in our post on Que Bo! Chocolate. I was impressed by Ayala’s knowledge of the history of cacao in Mexico, as well as his chocolate making abilities. Not to mention his charming personality! 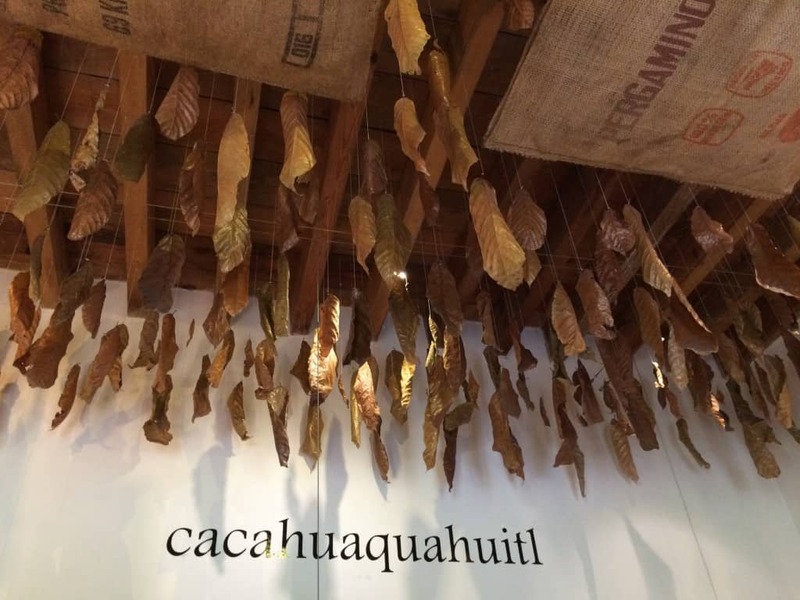 I was amazed at the massive size of the dried cacao leaves from the Tabasco region of Mexico that are hanging from the ceiling at the Museo del Chocolate. 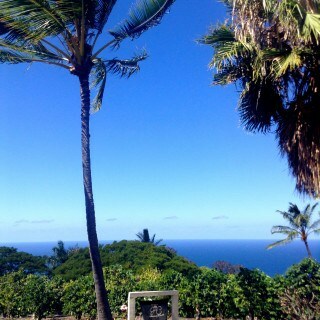 The leaves are so large because the trees in this region grow in full sun. The chocolate museum is housed in a historic 1909 building and is the perfect blend of history with contemporary culture. There are educational displays on the Mayan people and their respect for cacao as a sacred crop. And a sunny open courtyard with plants that make this a very visitor-friendly museum. The Museo del Chocolate in Mexico City has a lovely setting with natural light and fresh plants. The Mayans considered cacao a magical substance that fed the mind, body, and spirit. The Aztecs of the region also honoured cacao and used it as a trading currency. Some of the detailed exhibits are in both Spanish and English. Some are in Spanish only. 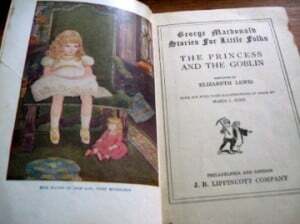 Fortunately, the illustrations adequately tell the story, even if you can’t understand all the descriptions. 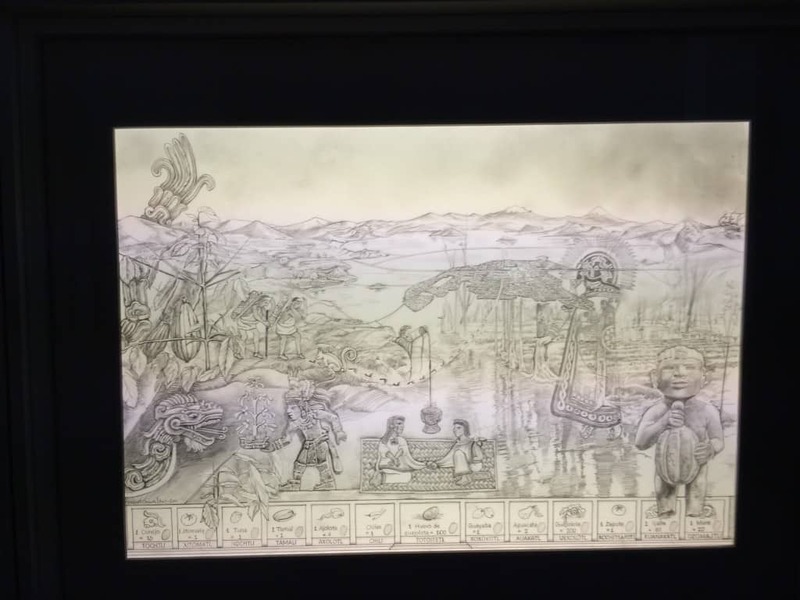 The exhibits at the Museo del Chocolate are intricately illustrated depicting the early Mayan and Aztec cultures and their connection to cacao. 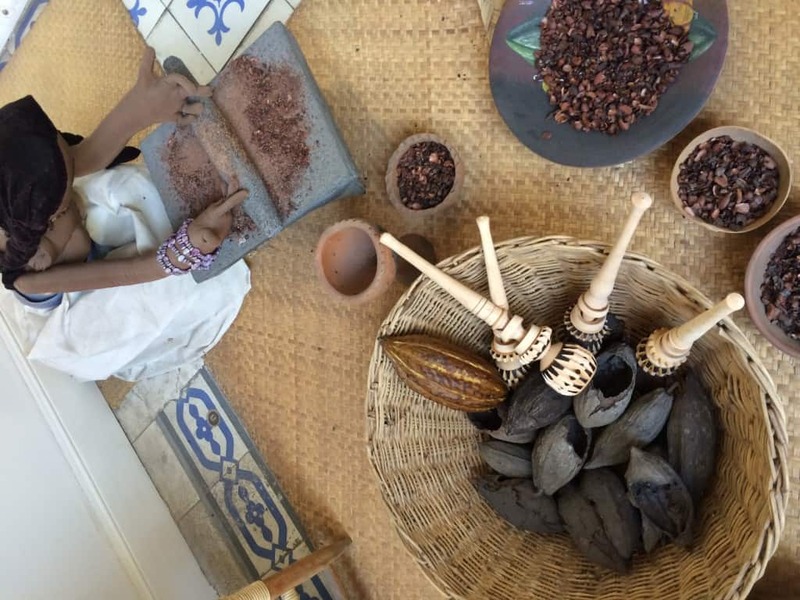 The exhibits at the Museo del Chocolate really bring the story of cacao to life. Unfortunately, the museum is not currently accessible to visitors who cannot do stairs, and most of the exhibits are on the second floor. There is no elevator. But the main floor does house a 1940’s vintage Lehman chocolate grinder imported from Europe, as well as a lovely gift shop and cafe where you can enjoy and purchase chocolate treats. My stash of goodies from the Museo del Chocolate in Mexico City. MUCHO Mundo Chocolate is the name of the brand of chocolate confections made at the museum. They primarily work with cocoa beans from two regions: that of Tabasco, and Chiapas. I tasted the bars from each region, and preferred the bar made from the Tabasco region, but they were both good and had that truly Mexican flavour. Traditional Mexican chocolate is made using a blend of cacao beans mixed with vanilla beans, chili de arbol, (hot chilli peppers) and a touch of cinnamon and salt. This mixture is conched (mixed together) for 24-45 hours to get the desired consistency before it is made into chocolate bars. I learned much during my tour at the Museo del Chocolate in Mexico City and highly recommend it as a stop for any visitor who happens to love chocolate–and who doesn’t? Have you been to the Museo del Chocolate in Mexico City, or have you visited any other chocolate museums? 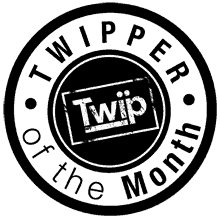 Please share your comment with us here, and don’t forget to subscribe to the site to ensure you don’t miss any future posts. Ciao for now! 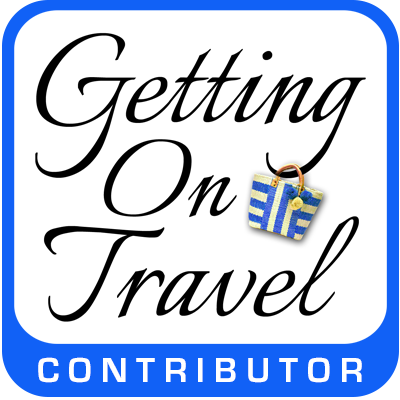 let’s see–chocolate, a museum, a historic house, and Mexico City–oh my! What’s not to like here? I could only agree, what’s there not to like! Everything chocolate! 🙂 Who doesn’t love chocolates? Believe it or not, Karla, it’s said that 9/10 people admit to loving chocolate. What’s with that 10th person??? Do you know that I live very close to Roma and yet had no idea that the Museo del Chocolate even existed! Thanks for the tip, I will be heading there asap! Thx very much for your comment, Katja. Don’t be too hard on yourself! 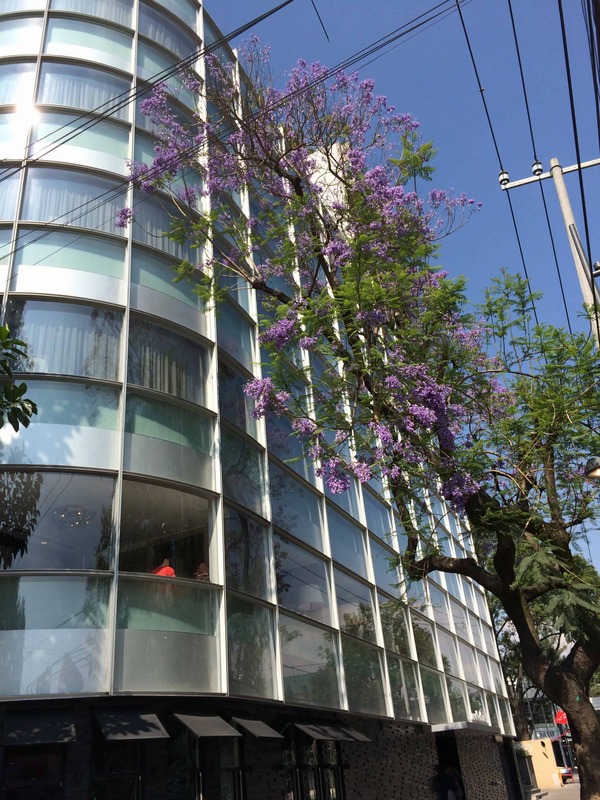 Even the Mexico City Tourism people didn’t know about the MUCHO Chocolate Museum. I was so lucky I stayed at Los Alcobas, as it was the server in the hotel’s breakfast bar who gave me the tip. I love this museum! 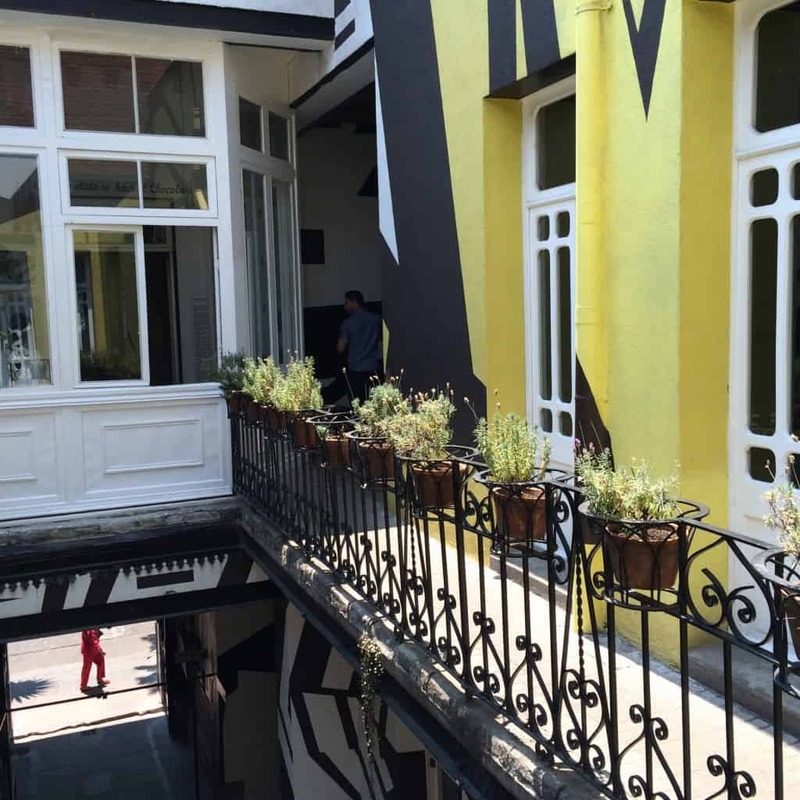 It’s got the best hot chocolate in Mexico City plus some fascinating contemporary art. Right on, Michele. I really enjoyed the contemporary art as well as the contemporary exhibits. It’s a really cool museum. You’ve managed to activate both my taste buds and travel bugs at the same time with this South-of-the-Border museum dedicated to chocolate! Thanks, Jackie! Then I’ve achieved my goal of getting you (and everyone!) 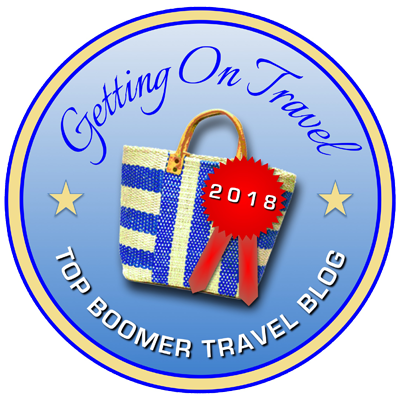 to consider chocolate travel in your future travel plans. thx for stopping by. Would love to visit this museum, not to mention taste their chocolate! On my list. Super, Anita! I’m glad I’ve inspired you. Cheers! Traditional Mexican chocolate sounds like a taste from heaven! Never tried it, but now is on my food wishlist! 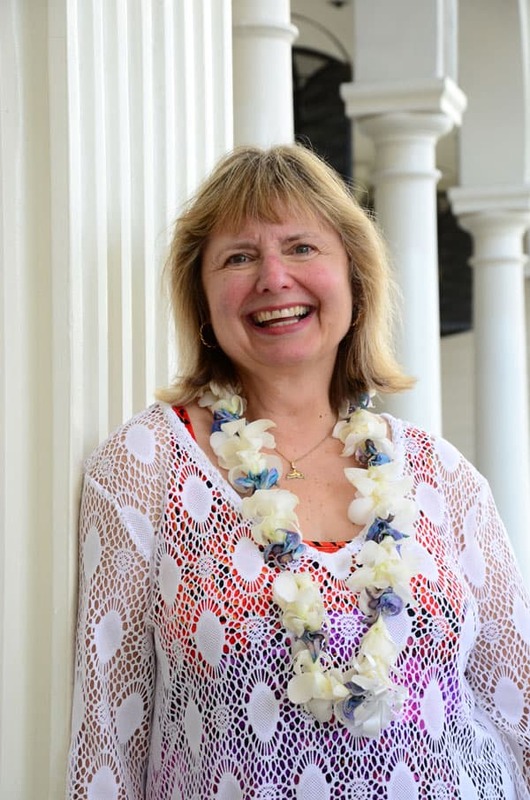 Thanks for sharing great info Doreen and keep enjoying your chocolate tour around the world! Thx for your support, Nat. I love what you and Rob are doing on your blog as well. We are all road warriors, but on a different journey! The Museo del Chocolate looks well worth a visit. I like that the museum also makes artisan chocolate. I love the combination of chili and chocolate. Hi Donna and thanks for your comment. Chili and chocolate is not my favourite, but if it’s done in a subtle way, as it is with the authentic Mexican chocolate, I like it. I don’t like it when some chocolate makers put so much chili in the chocolate that it over powers the chocolate. Right on, Kimberly. Every chocolate museum is so different. I’ve never heard of Ollantaytambo. What part of Peru is that in, and how did you like that museum? Wow, there really is a museum for almost everything, isn’t there? But chocolate — that’s pretty cool! I was just thinking as I read this, that when I visit my friend Katja (globetotting.com) in Mexico City, I will definitely need to visit the Chocolate Museum. Happy to hear that she lives near by. Thank you for sharing your visit. Don’t you just love that about the web, Tara? It connects us with new friends all over the world, and alerts us to incredible attractions we would never otherwise uncover. I hope you get to Mexico City soon. I know you’d find much to enjoy there. 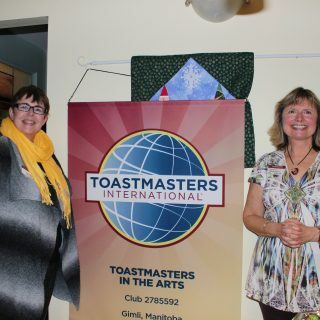 Fantastic photos Doreen. And the cafe /museum sounds wonderful. Who ever thought? A museum devoted to chocolate. I was interested to learn that chocolate was considered to have magical qualities and cacao was used as currency. Good thing that was before the cocao became a chocolate bar! Hi Jeannette. Yes, the more I delve into the world of chocolate and cacao, the more fascinating info I uncover. 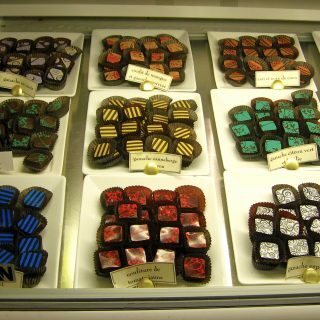 And believe it or not … nearly every major city has some kind of chocolate museum, event or attraction. Afterall, chocolate makes the whole world smile! just put aside any chile and chocolate for me. your story is yummy, Doreen. do save all the chile and chocolate for me. Hi Lisa. The really cool thing is that each one of us likes a different chocolate. That’s why each chocolate in a box will go equally quickly. So, yes, I’ll leave the chilli chocolate for you if you leave the passion fruit chocolate for me. cheers! Cool to get a private tour too! MUCHO Mundo Chocolate looks MUCHO delicious! Can’t help wondering if Museo del Chocolate existed when I visited Ciudad de Mexico approximately 20 years ago. Sounds like a wonderful place. But then again, I may not have had the interest and time to visit them it in those days. I do like how Mexican Chocolate has chili in it. I particularly like their hot chocolate as the chili really adds something to it. Fascinating that chocolate trade goes back to the Mayans. I don’t see a lot of Mexican chocolate in Europe or Australia so they definitely have room to expand their market. Hi Elizabeth and thanks for your comment. I don’t think the Mexicans are exporting their chocolate too far from home, so just like in many other places, you have to go to the source to get to the best artisanal chocolate. That’s why I’m promoting the idea of chocolate travel. Right on, Chris. I’m so glad I got to revisit Mexico and rekindle my love of the country. I can’t wait for part two of my Mexican Chocolatour next month! A chocolate museum?!? This is just genius and now I have another excuse to head down to Mexico! Hi Julie! You bet! Mexico actually has several chocolate museums. I’m going to one in the Yucatan next month. Stay tuned! I think a chocolate museum could keep me entertained longer than a history museum. Of course there is history in chocolate, but somehow that makes it more interesting for me. Sounds like a fun place! Hi Sanket. Yes, there are actually quite a few chocolate museums around the world. 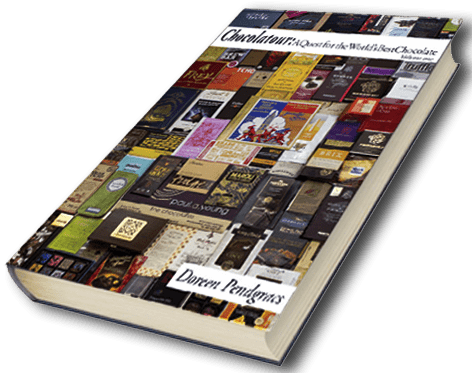 I’ve got a list of them in volume I of Chocolatour, and will be adding to that list in volume II. Stay tuned! Chilli, salt and sugar – party in my mouth! Right on, Gemma! It truly is amazing how master chocolatiers can create a party in your mouth by combining sometimes the most surprising combinations! It’s never a dull moment when I’m on the chocolate trail! 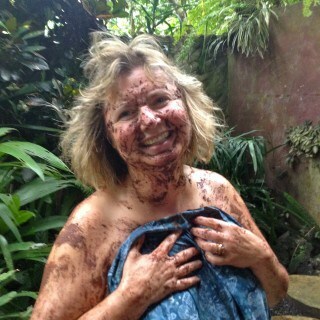 Too many chocolates in MX! I stayed there for a long time and didn’t have a chance to try any. I heard they’re really good! There’s NEVER too many chocolates. Trisha! At least not for me! Hopefully … you’ll get to sample some Mexican chocolate on your next trip to Mexico. Thx for stopping by. I have to agree with the Mayans. ChocolateI IS a magical substance. Good for whatever ails you. :). And as far as the Aztecs using it for money, I’m pretty sure a lot of people would be able to hold us a sign that says “Will work for Chocolate.”. I’ve Been to Mexico City a few times and missed out on this gem! Mexican Chocolate is one of my favorites! But honestly, who doesn’t like chocolate? Paradise is a chocolate bar in one hand and Dulce de leche in the other! Does it smell as good as I think it would? What a wonderful experience. I would love to take the kids! Hi Natalie. Some chocolate shops really do have an amazingly intoxicating chocolate aroma. I didn’t notice this at the Mucho Chocolate Museum, but perhaps it may be more prevalent at certain times of the day when the fresh chocolate is being made.